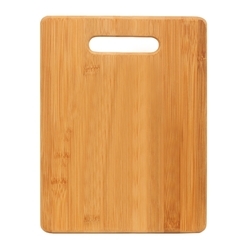 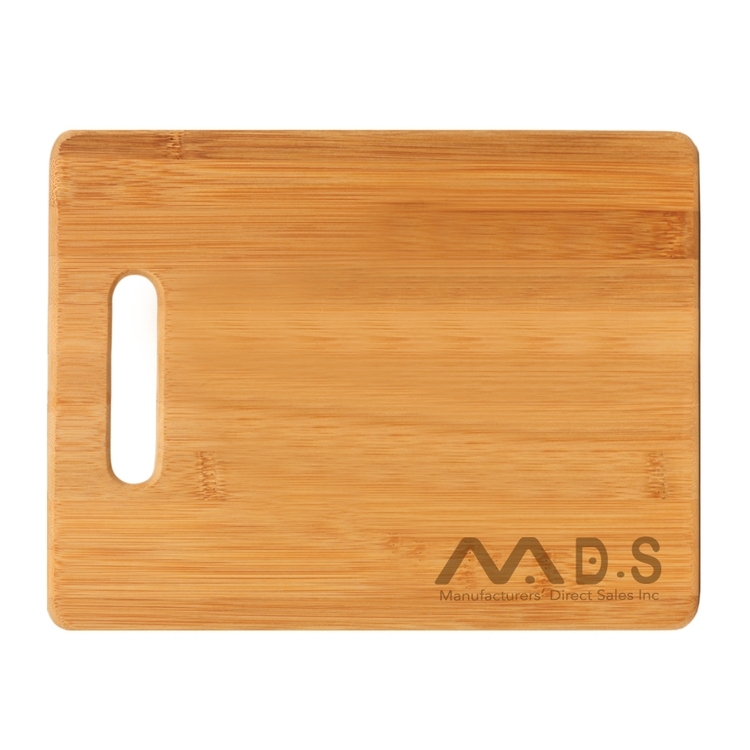 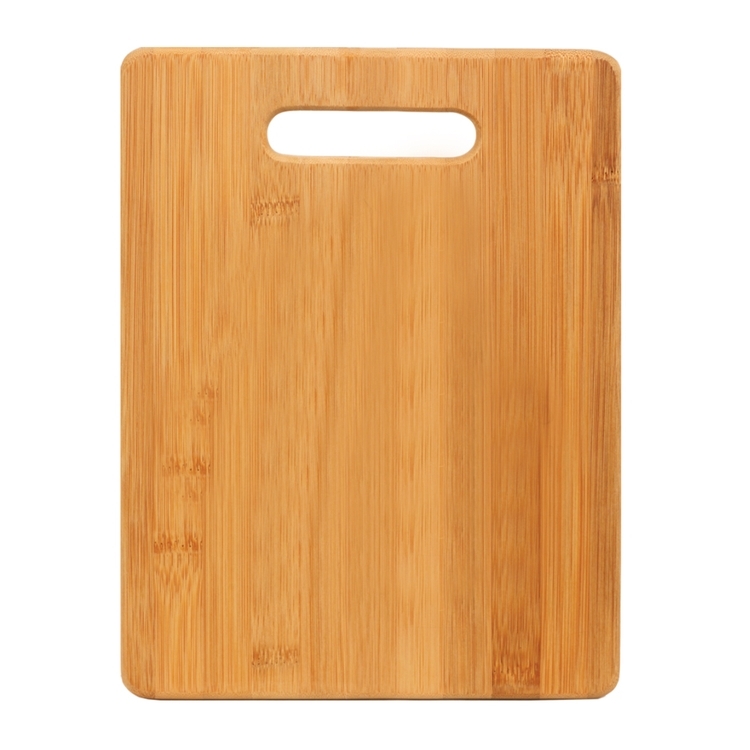 Bamboo Rectangular Cutting Board. Eco friendly material. Hand wash only. 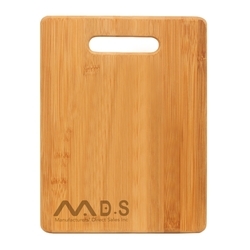 Handle hole is 7/8 x 3.5"
11.5 x 8.75 x 9/16"